Mangoes are everywhere. I bought a few ripe mangoes to make a mango smoothie. 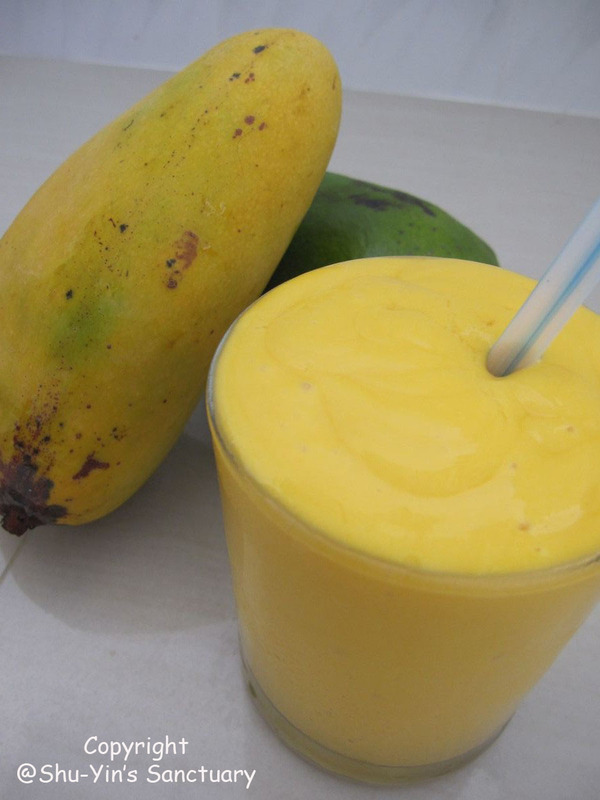 Place the mango in a blender and process until smooth. Add the sorbet, milk and lime juice and process for 30 secs. Pour into the glass and garnish with the lime wedge.